January is here and that means football every weekend! From bowl games to playoffs to the Big Game, football is on the TV every Saturday and Sunday in January. 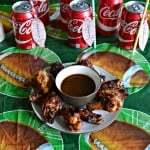 Now I love watching football because I think it’s an exciting game to watch but the thing I love even more then a good game is great Game Day food. I always make snacks when we’re watching football because it’s fun to munch on appetizers all day long. I used to make big meals and put a lot of work into them but then I was so busy in the kitchen that I was missing all the big plays. 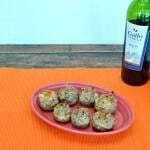 I hated that so now I try to stick with quick but tasty appetizers and snacks that are easy to make. Whenever my husband and I are watching the games by ourselves it’s ok to just have a few snacks and a couple of Coke Zeros but whenever people come over I like to make things look a little bit nicer. 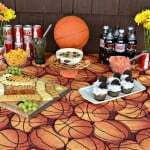 This means having my football tablecloth out, colorful snacks, and usually a few unique football touches. 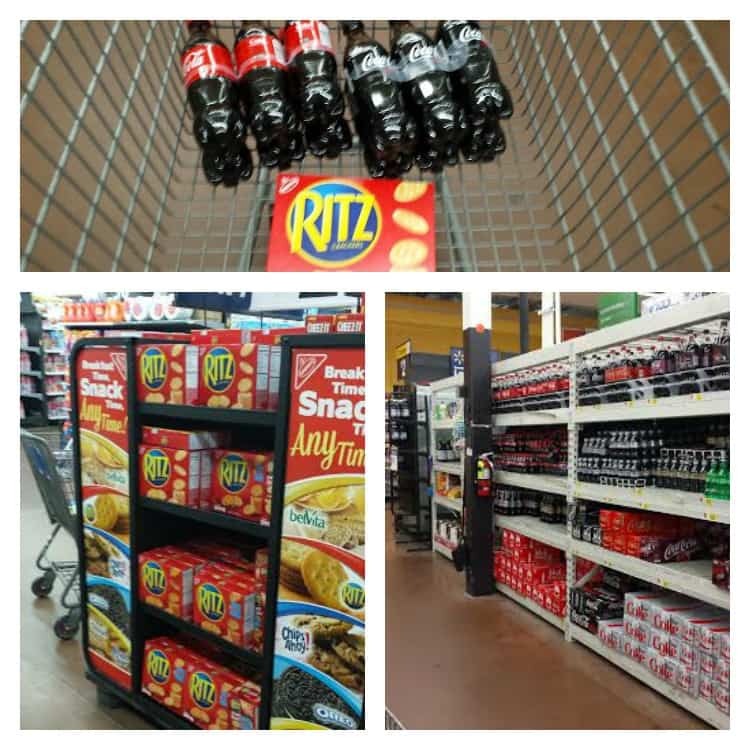 Last week I went to Walmart 4 times before work. I like going in the morning because there aren’t a lot of people there and I can get in and out in record time. It’s only about 2 miles from my school so it’s easy to run in before I get to work. On Friday I went shopping for the games this weekend and was excited to see 2 for $5 on all Coca-Cola 500ml 6-packs! I picked up one 6-pack of Coke Zero and one 6-pack of Coca-Cola. I figured that would suit everyone. Then I started looking for snacks. I usually like to make at least one sweet and one savory snack so everyone gets something that they are craving. 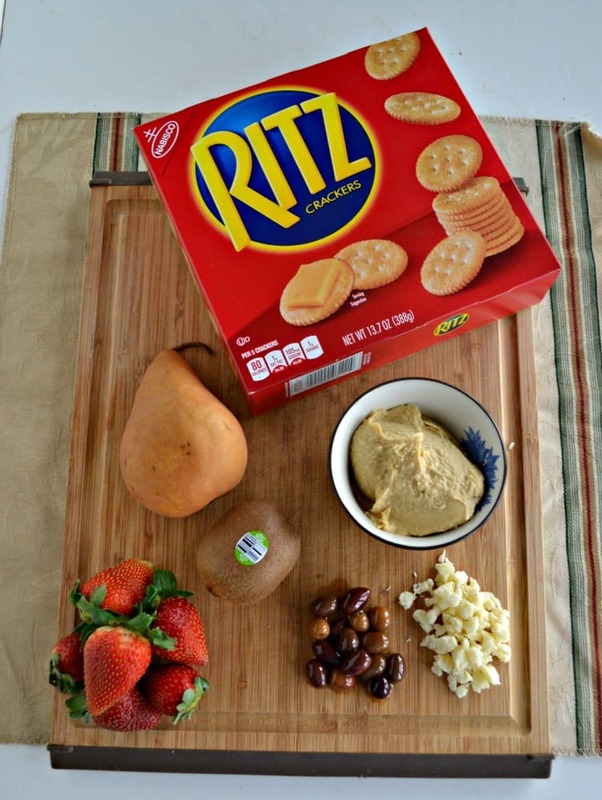 A big display of RITZ® crackers was calling my name so I picked up a box of them along with some fresh fruit, olives, and hummus. It might sound like an odd combination but it was actually what I needed to make two delicious recipes. I used the RITZ® crackers as a base for fruit tarts. I love that they are salted because it adds just a touch of saltiness to the tart. I whipped up a quick cream cheese base for the tarts and them topped them off with strawberries, kiwi, and pears. You can use any combination of fruit you’d like but I thought this was simply delicious. 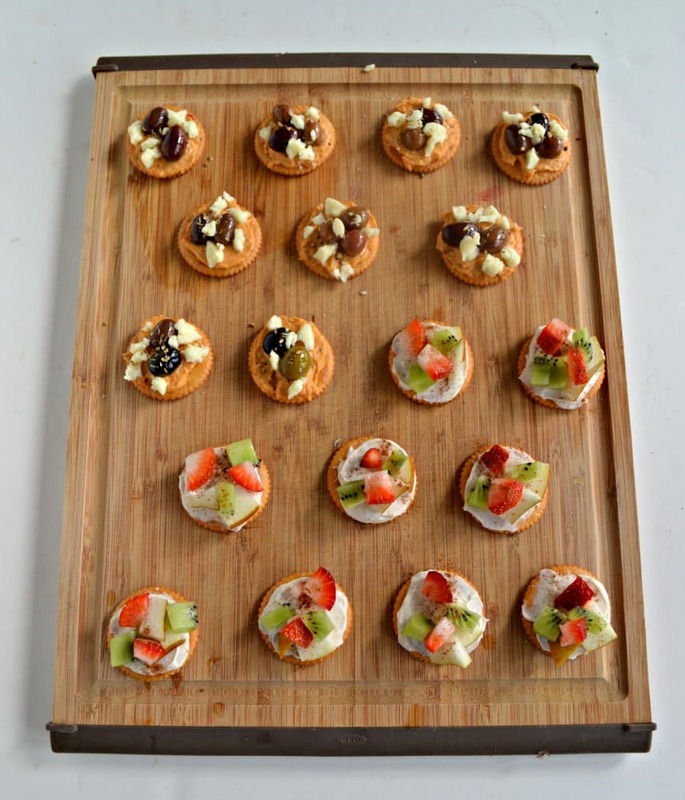 Top RITZ® Crackers with a sweet cream cheese spread and fresh fruit for an easy fruit tart! 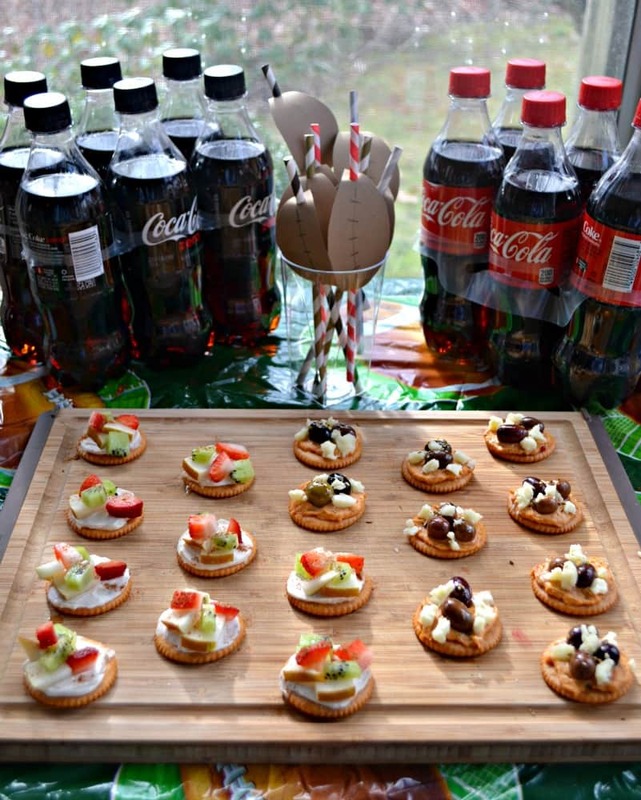 To make the fruit tarts place the RITZ® Crackers on a platter and set aside. In a small bowl combine the cream cheese, honey, and vanilla. Mix well. Spread a teaspoon or two of the cream cheese mixture on top of each RITZ® Cracker. 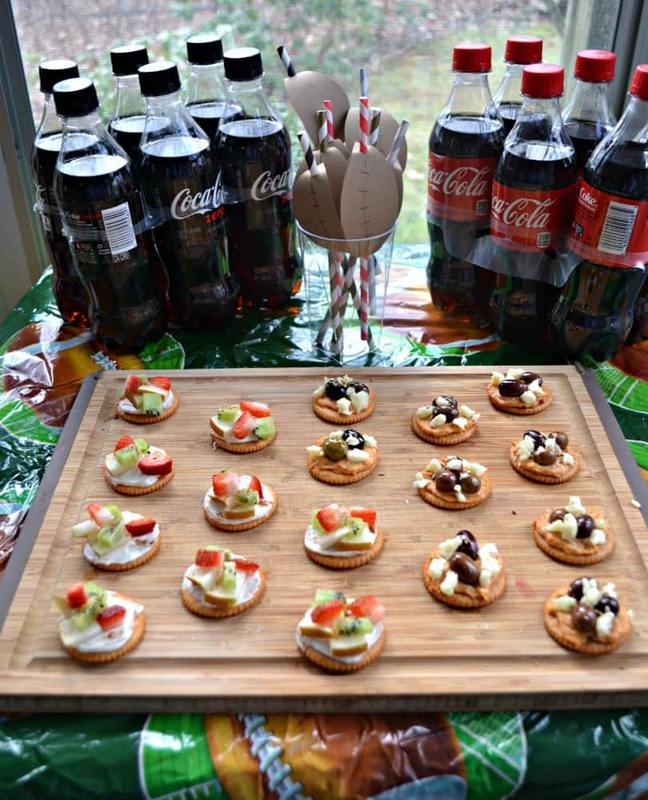 Arrange strawberries, kiwi, and pears on top of the cracker and sprinkle with cinnamon. Next I took some more RITZ® crackers and topped them off with roasted red pepper hummus. 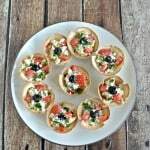 Then I put some baby olives on top of that and sprinkled it with feta cheese for an easy Mediterranean style appetizer that I knew would score with our biggest fans. Place the RITZ® Crackers on a platter. Top each cracker with 1-2 teaspoons of hummus. Place the olives on top of the crackers and sprinkle with feta cheese. As I was setting the RITZ® crackers appetizers, Coca-Cola bottles, and Coke Zero bottles on the table I decided something was missing. I quickly ran to my craft zone, picked our some brown paper and pens, and took them into the dining room. 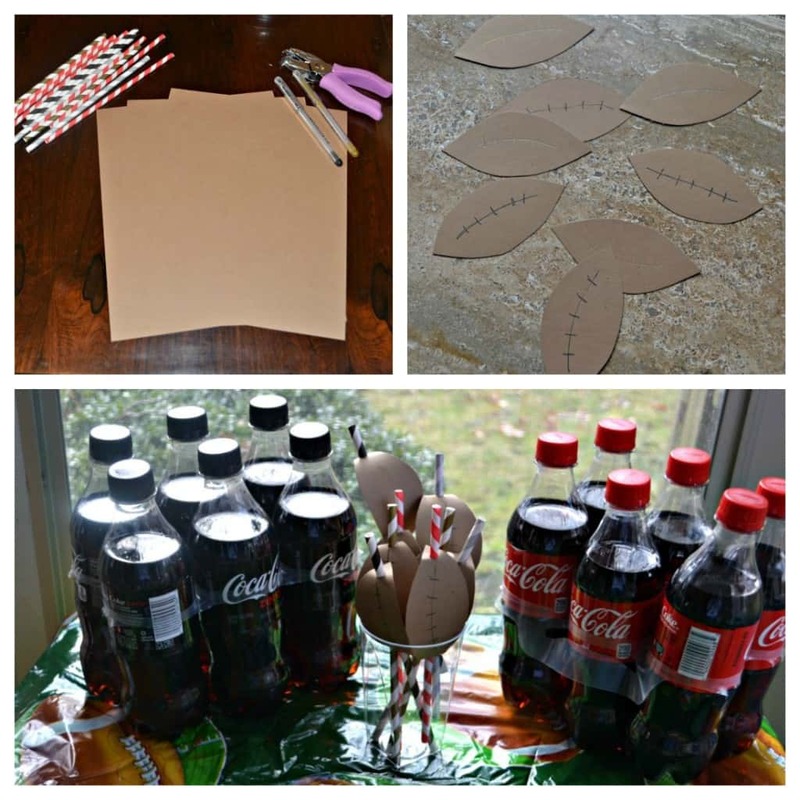 I cut out 12 small paper footballs and put the laces on with the pens. I punched holes at both ends and then slid them onto a straw. This was the perfect football accent for our beverages. Cut each of the 3 sheets of brown card stock into 4 pieces. Cut a football shape out of each piece. Use the pens to make the laces on the football. Use a hole punch to punch one hole at each end of the football. Place the football on a straw. Stack the straws in a jar and place next to your beverages. What is your favorite quick and delicious Game Day recipe to enjoy while watching your favorite team take it to the house? Yumm!! Those fruit ones are calling my name! 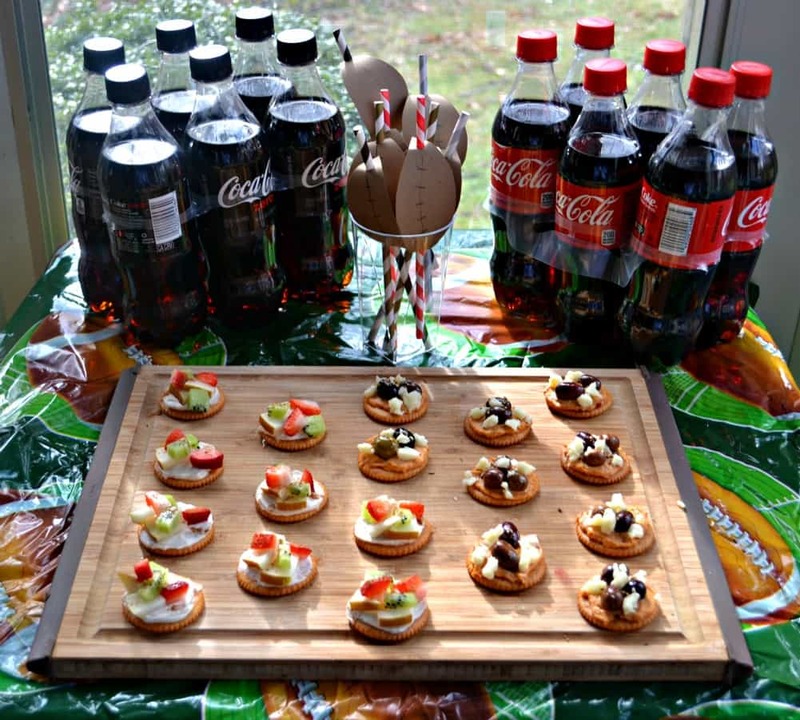 I love how quick and easy but fancy these look–and the footballs for the straws are a great finishing touch! Everything looks great. I do love good snacks while watching the game. I love it, I hope mine look this nice.